Welcome to Sloths class! Check out this page for information about what is going on in our class and what we have been learning about. In literacy we are now studying a famous narrative poem called 'The Highwayman' by Alfred Noyes. Use the links below to read the poem and to watch an animation of the poem. We are currently working in class on our 7x and 8x tables. Below is a link to the speedy tables grid that you can print off and practise on. If you are unable to do this, see Mr Christopher for a sheet. Check out the link below to find the video of 'Tuesday'. It is a famous picture book by David Weisner that has also been made into an animation. We are currently studying it in literacy. We have pretended to be police officers, interviewing each other and producing witness statements and police reports. We now plan to move onto newspaper reports, writing an article on what happened on the night of the flying pigs! Over the past couple of weeks, Sloths have been writing short stories to enter into the BBC 500 word short story competition. Unfortunately, we do not have the time to submit them in class so I have given the children the choice to enter their stories themselves at home. Today they will be bringing home copies of their stories, which they then need to type up to submit. Follow the link I have posted below to get to the website where they can do this. They need to give some basic details about themselves, type in their story and then give information about someone who gives them permission to enter. I have attached a document that has the school's details which they can enter into this section. I have encouraged the children to enter as the stories are brilliant, however this is not compulsory and they do not have to enter. The closing date is Thursday 25th February 7pm. Starting this half term, Year 5 will be going off site each week to go swimming at Fore Street! Until Easter the sessions will be Thursday mornings, with the first session being on Thursday 3rd March. 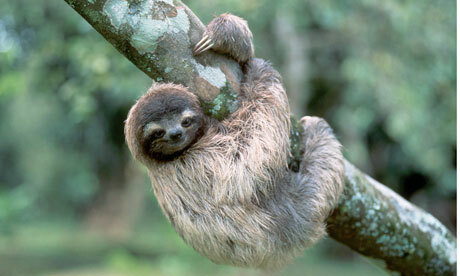 Sloths and Jaguars will alternate the week in which they go, with Sloths going first. A letter will follow this week to give more information. At the moment in literacy, Sloths have been planning and writing stories to enter into Chris Evans' Radio 2 500 word story writing competition. It’s very simple. We write an original story on any subject or theme in 500 Words or fewer and submit it online. Winners have their story read live on the radio by a superstar celebrity…like Sir Kenneth Branagh, Jeremy Irons, Hugh Bonneville or Sherlock himself – Benedict Cumberbatch. Winners will rub shoulders with the world’s biggest celebrities and massive pop-stars performing at the final. Plus in 2016, Her Royal Highness, The Duchess of Cornwall, who returns in 2016 to support the competition as an Honorary Judge! She'll be reading and debating the top 50 stories of the competition with an amazing author panel: Malorie Blackman, Charlie Higson, Frank Cottrell-Boyce and Francesca Simon. Stay tuned for examples of our stories!